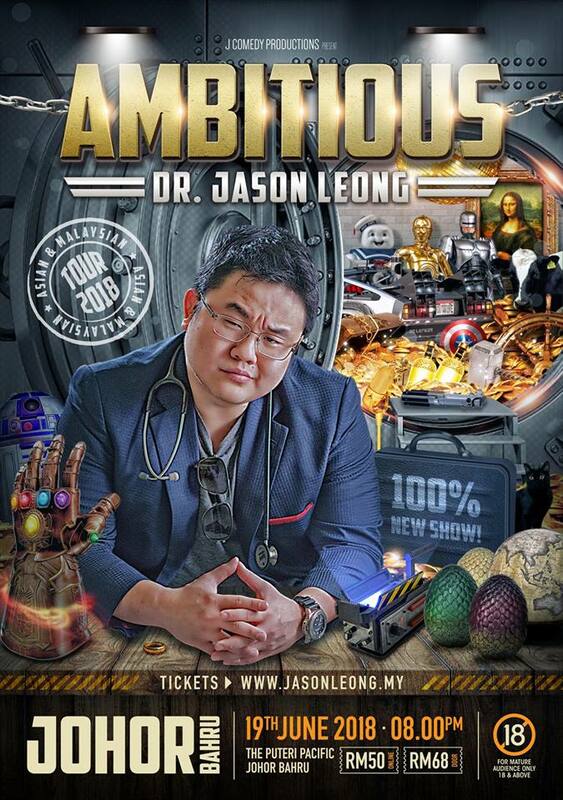 Dr Jason Leong is Malaysia's fastest rising stand-up comedian and after a stellar 2017 where he appeared on Comedy Central and became their Comedian of The Month (August), sold out his shows in Kuala Lumpur, Penang and Singapore, had a stand-up video clip that went viral to the tune of 16 millions hits and counting and being featured on 9GAG and UNILAD, he is now back with a brand new show with 100% new material! 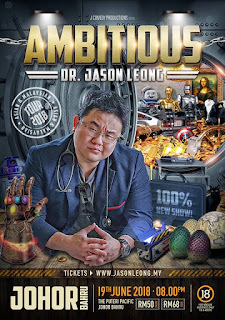 Touring multiple cities including Singapore, Hong Kong, Manila, Delhi, Mumbai, and then Penang, Johor, Kuching, Kota Kinabalu and finally Kuala Lumpur, this is Dr Jason Leong at his funniest, sharpest, and definitely most AMBITIOUS! Get your tickets now for this bound to be sold out TOUR! follow dia kat page di FB seronok tapi kadang2 tu pedas2 jugak dalam lawak dia..